Backup your website (before any major change to your site)! Click on “upload” [10/20/16: “Upload Theme”]. Find the file on your computer and select it. Click on “Install Now”. Theme will install. See installation progress in lower left of screen. Theme should install successfully. Congratulations! Activate it if you’d like to make it the live theme. Or click on “Live Preview” if you’d like to see what it looks likes without taking it to live. Make sure to check that it looks OK. Especially menus and widgets! 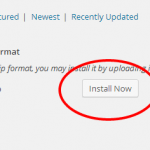 Do you need assistance installing a new WordPress theme? We can help. Our webmaster and WordPress support services are very affordable. Contact us today about helping you to make your WordPress website shine. 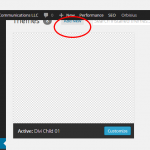 Do you need help with your WordPress website? 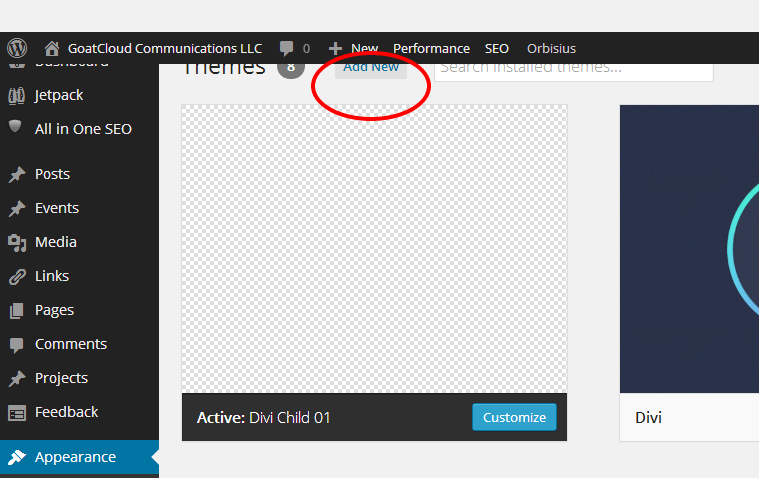 Hi, I install a theme, but when i try to see how it looks show “Error: This Element Requires Cp Custom Posts Plugin”. where can i found a solution? Sounds like you will want to follow up with the theme’s developer. 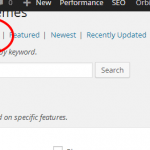 Some themes come bundled with plugins that provide additional functionality; some may even require a plugin which sounds like it’s the case here. Good luck! When I try to upload a zipped theme, the upload percentage on the left down corner turns to “0” after some percentage of file is uploaded. Then starts from the begining. It’s like a loop. I don’t know what causes to this. What can be the problem ? I’m afraid I don’t, Samet. You may wish to try the support forum at WordPress.org or perhaps for the theme itself. 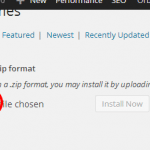 Please note that this guidance applies only to wordpress.org installations (self-hosted WordPress installs), not wordpress.com websites. Glad you found it helpful! We’re a big believer in “teaching a person to fish”. 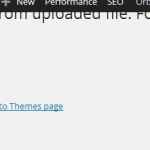 Thanks for step by step guide to install a WordPress theme. Your theme install instruction is easy to use. Very valuable and informative post. Thanks ataurwelcome. Glad you found the instructions easy to use. 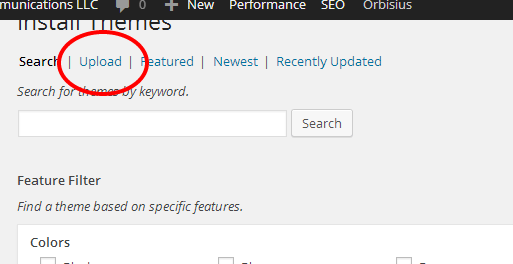 I love how WordPress is fairly gentle on people who don’t have all that much tech experience. Hi there. I have a wordpress theme as a zip file. When I go to appearance>themes there’s no “add new” button. Any idea what’s going on? Hi, Jenny. It looks like you have a wordpress.com site. These instructions will not work for wordpress.com sites. They are intended for those who have a self-hosted site using WordPress software obtained at wordpress.org.